Sculpting the shape you want isn’t actually as easy as it seems. You might think that with enough exercise, your body will magically fall into all the right places. Unfortunately, you’ll have to keep a lot more in mind than simply moving around a lot. One thing to always remember is that in order to lose weight and get rid of the fat you want to trim, you need to burn a lot of calories. The best way to do this, other than your diet, of course, is to partake in a lot of cardio. But don’t just walk around and expect that to help you burn all your calories. You need to engage in intense cardio like running, jumping rope, or riding bicycles. Get your fix at least five out of the seven days per week. When it comes to some cardio activities like walking, running, or biking, don’t stick to the bare minimum. Whether you’re on the treadmill or outside, you need to focus on the incline. That means find real hills or mimic hills at the gym. That will take your workout up a notch. Since you’re spending so much time doing cardio and shedding fat and calories, you want to make sure that you’re also toning at the same time. Pick specific areas that you want to target and tighten, and do exercises that are designed to help with those spots. Do not skip your breakfast any day of the week, just don’t do it! This is the main meal that gives your body its energy for the day, so do it right. Focus on getting a lot of protein and good carbs with fiber. Skip sugary cereals and think more along the lines of oatmeal. Just because you ate breakfast, doesn’t mean you can go hours before you eat again. Your body needs to be constantly fueled in order to function properly. Keep healthy snacks with you at all times, like fresh fruit and unsalted nuts, and never go more than three hours without eating. You need to be hyper aware of what you’re putting into your body. Chances are, you probably already have a lot to think about. So don’t leave your diet planning and tracking to your mind alone. Keep a food journal, and write down everything, and that means everything, you eat and drink throughout each day. Speaking of drinking, you need to do a lot of it, water, that is. Make sure that you always have a water bottle with you to refill and drink again, at all times. Drink water throughout the day, and don’t let yourself feel thirsty. Another good way to use water to help reach your goals is to drink some before you eat. That will help stop you from eating more than you actually need. Sleep is seriously one of the most important factors in keeping your body healthy. If you’re tired, then you are most likely going to eat more than necessary, and foods that are not healthy. Prioritize your sleep and make your bed a rewarding place to go at the end of each day. Look, genes do have a lot to do with the way your body acts. So be realistic. Learn your body type and look at the bodies of other people in your family. Don’t beat up on yourself for having a certain shape genetically. There is nothing you can do about that! 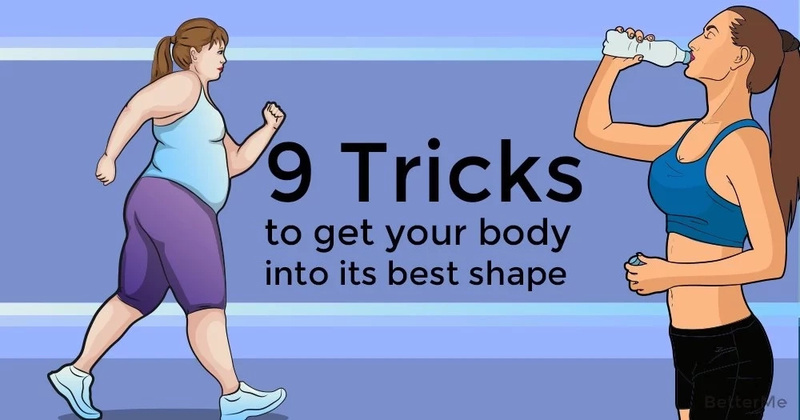 Instead, focus on keeping your unique body as healthy as you can. Shaping your body lies in a collection of habits and ways of thinking. Adopt a few more today and you’ll be closer to your body goals.